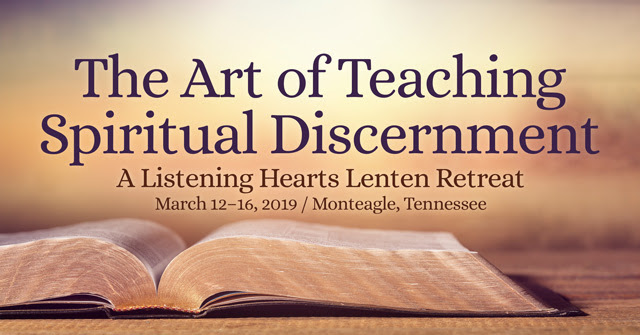 The Beecken Center of the School of Theology is proud to once again partner with Listening Hearts Ministries to offer this intensive, four-day retreat at the DuBose Conference Center. Participants will learn to facilitate and mentor spiritual discernment groups using the Listening Hearts approach. The retreat will include communal meditation activities; workshops that teach the practical aspects of teaching spiritual discernment; and a series of discernment sessions, each of which is followed by a reflective review to gain insight into the necessary elements which bring forth fruitful discernment. This retreat is geared to spiritually mature leaders of all ages who are committed to the principles set forth in Listening Hearts. It affords each participant the opportunity to enter into discernment in relation to his or her own life while also learning to train and mentor discernment groups. Participants will work in small groups, each with its own mentor. Silence, song, imaginative engagement with Scripture, creative meditation activities, and contemplative sharing of reflections combine to draw each group into the flow of the Spirit. The training includes a series of discernment sessions, each followed by a reflective review to gain insight into what contributes to fruitful discernment in community. Workshops lay out the practical aspects of training discerners. Additionally, the program has an “at home” component: for five weeks prior to the retreat (the weeks of Feb. 3, 10, 17, 24, and March 3) participants will reflect on short readings, engage in creative meditation exercises, and share reflections and a short biographical write-up with their group. The assignments will require an average of two hours of work per week, which can usually be broken into several sections. In the final week each participant will prepare a one-page summary of an issue with which they are wrestling. The Listening Hearts retreat can count as Alternate Mentor Training for Education for Ministry (EfM) mentors. Requirements for Alternate Mentor Training include having completed two Foundations Trainings, being “Formation ready,” not having completed another Alternate Training within the last three trainings, and not needing to go back to Foundations after three Formations. Contact Elsa Bakkum, EfM Associate Director for Training, at esbakkum@sewanee.edu for Alternate Training credit. Includes five weeks of at-home preparation (about two hours of work per week during the weeks of Feb. 3, 10, 17, 24, and March 3). Lodging not included. Lodging reservations may be made directly with the DuBose Conference Center using this form. Registration closes Jan. 23, 2019. CEUs are available. Contact beecken.center@sewanee.edu for more details.